We all have our stories of car repair nightmares. If you don’t have a mechanic you can trust, taking your car to the auto shop can create serious anxiety. That’s why it’s important to have some basic guidelines in your mind when you’re shopping for an auto repair shop that can make you feel confident that the work is going to get done effectively without the need for a second mortgage. There’s no shortage of mechanics around Atlanta. If you live in Duluth, Sugar Hill, Lawrenceville, Buford or the surrounding areas, you can find an auto repair shop within a stone’s throw. Many are very reputable and just small business owners trying to make a living like the rest of us, but there are those that will take you for a ride when your car won’t. To that end, we thought we’d offer a short list of things to look for when trying to find a reputable mechanic. Most of us turn to our friend Google, but it’s always a good idea to establish a solid working relationship with a mechanic you feel good about. You know. Like your parent’s did in the “old” days before smartphones! How Long Has Your Mechanic Been In Business? Time helps everyone establish a reputation. 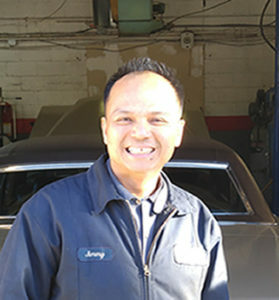 It can be tough to discern the difference between the reputation of the auto repair shop versus the reputation of the specific mechanic, but sometimes you can find a mechanic/owner which is ideal. It’s a simple concept that the longer the mechanic has been around, the more established his reputation is going to be. Look for someone who has the experience you need. Does The Auto Repair Shop Work On Your Type Of Vehicle? If you own a clunker, this is less of an issue, but there are some car repair shops around town that specialize. This means they don’t often work on your make and model car. If you own a Honda or Toyota (we’re looking at half of the city here), then you obviously want someone who has experience with Japanese auto repair. Start by asking. As cheesy as it may sound, you may learn more than you want to know by reading the reviews online. Start with Google+, then go check Facebook and anywhere else you can think of. Many auto shops will tell you where you can see reviews about their car services. Other places may include the BBB, Kudzu, Yelp, etc. If the mechanic has been in business a long time, he’s bound to have some negative reviews, so don’t let one or two throw you off. Look for patterns. Make sure the negative reviewers actually have profiles versus some competitor that builds a fake profile just to leave reviews. You also need to see how the mechanic responds to the negative- if he responds at all. There are a lot of excellent mechanics around Duluth, Buford, Sugar Hill, Lawrenceville, etc who aren’t exactly computer savvy, so seeing no response doesn’t really tell you much. We’re not saying that there aren’t incredible mechanics out there that grew up working on cars and don’t have any certifications, but let’s just say it’s comforting to see the paperwork. All of our mechanics at Southern Motor Works are ASE certified. This is the highest certification a mechanic can hold from the National Institute for Automotive Service Excellence. You can see the difference in service from auto shops that employ ASE certified mechanics and those that don’t. Southern Motor Works has been in the same location for more than 12 years. Our goal is simple- we want nothing less than 100% customer satisfaction. We do car repairs on all American makes and models as well as Japanese auto repair. Our customers can schedule appointments with us right from our website. We’ll meet them in waiting room and go from there. If you’ve never spoken to us before, give us a call. From the very first contact, you’ll see the difference atSouthern Motor Works . We’re the mechanics you can trust!